Jan Molam : Thai VS Bollywood II: Ultra rare Suang Santi (Iron Man) / Sumit Stachatape, full album! Thai VS Bollywood II: Ultra rare Suang Santi (Iron Man) / Sumit Stachatape, full album! You would never suspect it from the look of the cover - this is Suang Santi's record with the Black Sabbath cover "Iron Man" (Kuen Kuen Long Long) on it. 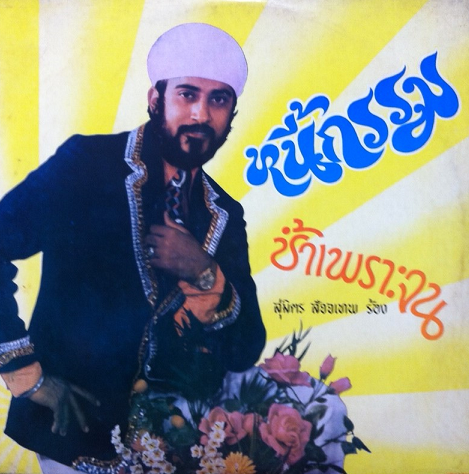 The guy on the cover is of course not our cool hero Suang, but Sumit Stachatape, who is found on the A-side... and to my surprise it is a real find! 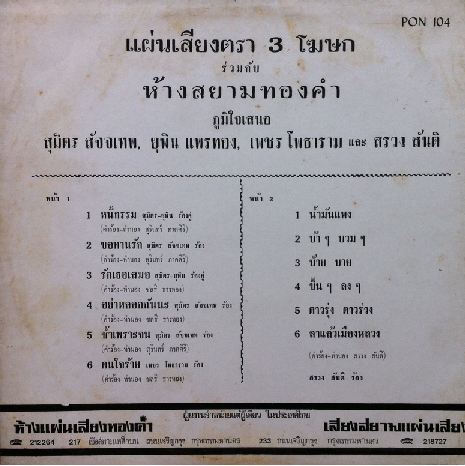 It's a blend of Indian music and Luk Thung, hence I feature it in my little series of reports about thai-indian musical relations. 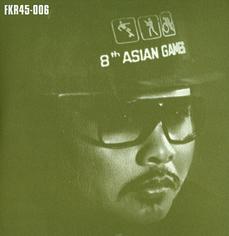 Side B then is probably some of the most recent stuff from Suang Santi before his untimely death, and definitely some of his finest. Have fun! Excellent. More Thai v Bollywood please! Coming up! 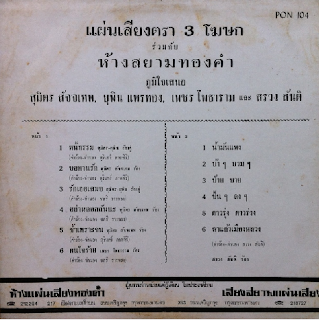 As 3rd part I planned a song from Waipod Petsuphan singing about the work of an indian in Thailand, with indian inspired music...!